Digna Ochoa was one of Mexico’s frontline defenders in the truest sense of the phrase. As a staff attorney at the Miguel Agust�n Pro Ju�rez Human Rights Center (PRODH) in Mexico City, she took on the most sensitive issues facing Mexico as it transitions from its authoritarian past towards a more democratic future. Working primarily in the southern Mexican states of Guerrerro and Oaxaca, she documented, denounced and judicially challenged the army’s takeover of rural policing for counterinsurgency purposes. Her cases often highlighted the illegal influence of economic interests over the criminal justice system to target social activists. By the mid 1990s, Digna and her colleagues at the PRODH, had one a reputation as a center of principled opposition to institutionalized abuse, particularly in the emerging hot zones of Mexico’s indigenous south. As a result, beginning in 1995 they were targeted for an escalating campaign of harassment, intimidation and violence. In 1999, Digna was abducted twice and once held hostage in her home for nine hours of interrogation before being left to die, bound hand and foot in front of an opened gas valve. On this occasion, she managed to free herself and escape. 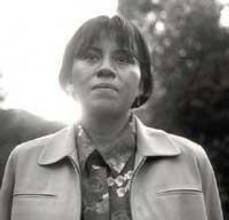 On October 19, 2001, Digna was shot and killed in her Mexico City office. Several of the PRODH’s past and present staff received death threats after her murder, reminding them that they should no longer ignore the many warnings to abandon their work. Human Rights First immediately took action to help galvanize international and domestic condemnation and outrage about the killing. We sought to ensure that Digna’s case, and the issues her work highlighted, have become priority matters for the Mexican government and for U.S. officials responsible for our bilateral relations. This is a crucial test for both the Mexican government and the human rights movement and will continue to intensify our efforts. In two previous investigations by Mexico City prosecutors, the authorities had determined that Ms. Ochoa had committed suicide, despite evidence suggesting that she was murdered. When found dead, Ms. Ochoa had been shot twice, including once in the knee, and an anonymous note was found at the scene threatening additional attacks against human rights campaigners. Human Rights First applauds the February 2005 decision to re-examine the forensic evidence in the case. On February 25, Bernardo Batiz, the attorney general for Mexico City, issued a statement ensuring that his office would ”repeat certain diligences” without delay.